and my goal . 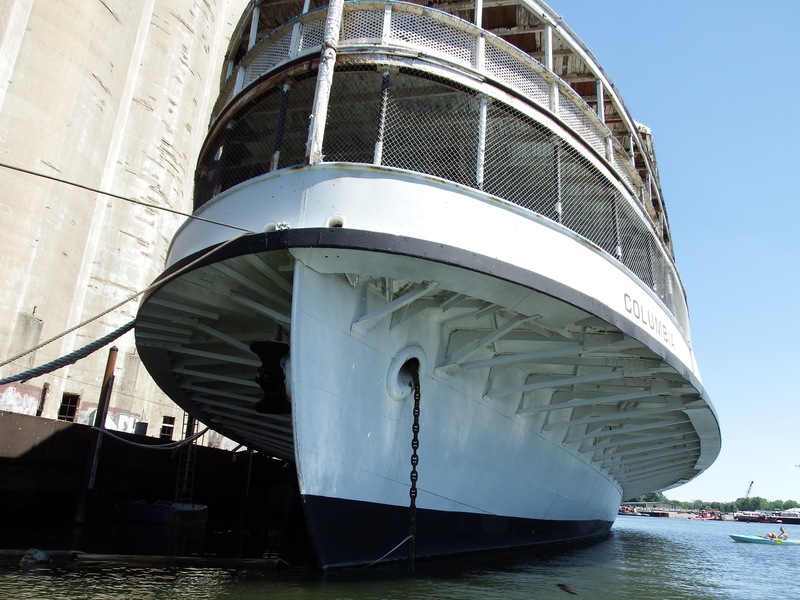 . . SS Columbia. Retracing my path, I had to pay respect to Edward M. Cotter, BFD and built in Elizabeth NJ. All photos by Will Van Dorp, who has no time to embed links because he is headed for Cleveland. 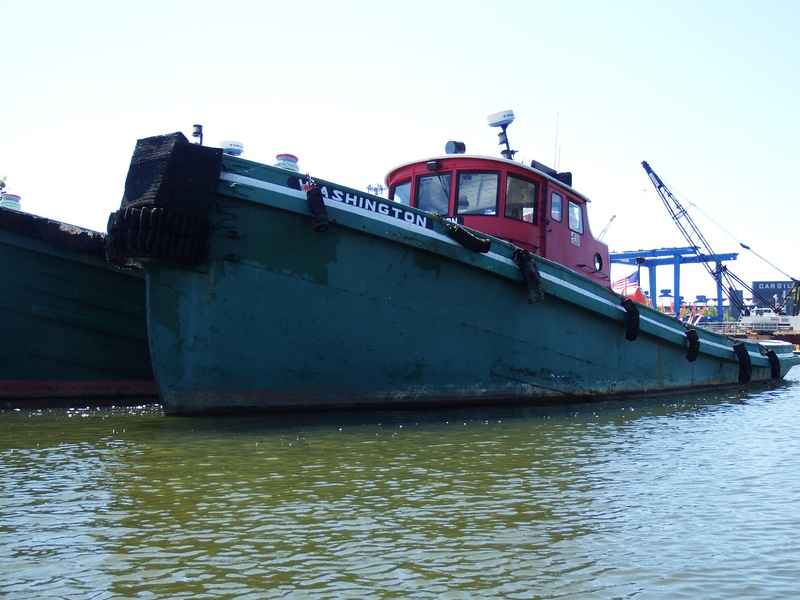 The other tug is the Jaclyn, built 1967 at Madisonville, Louisiana, by the Equitable Equipment Company as the Dottie Do for the Hardaway Contracting Company of Tampa, Florida, for whom she labored for quite a few years. A. J. 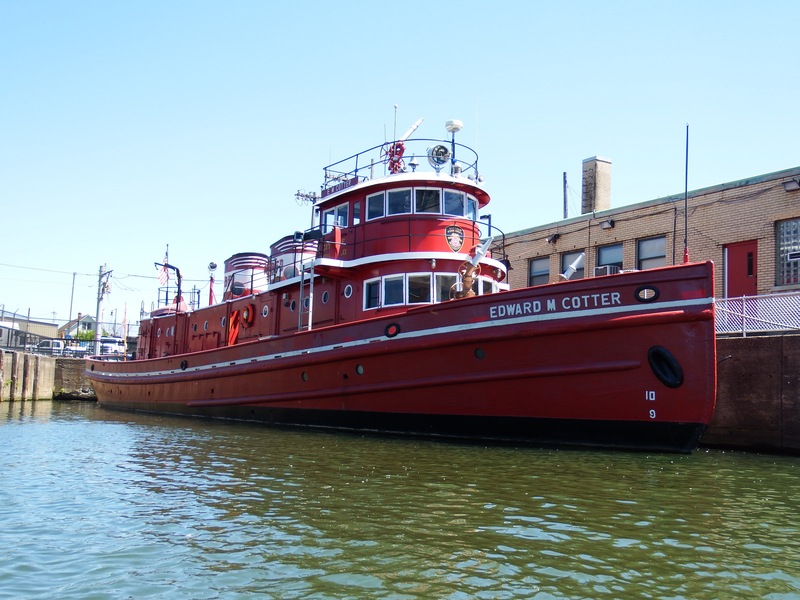 Brothers Marine Contracting, Inc., of Buffalo acquired the tug and renamed it Miss Jaclyn. 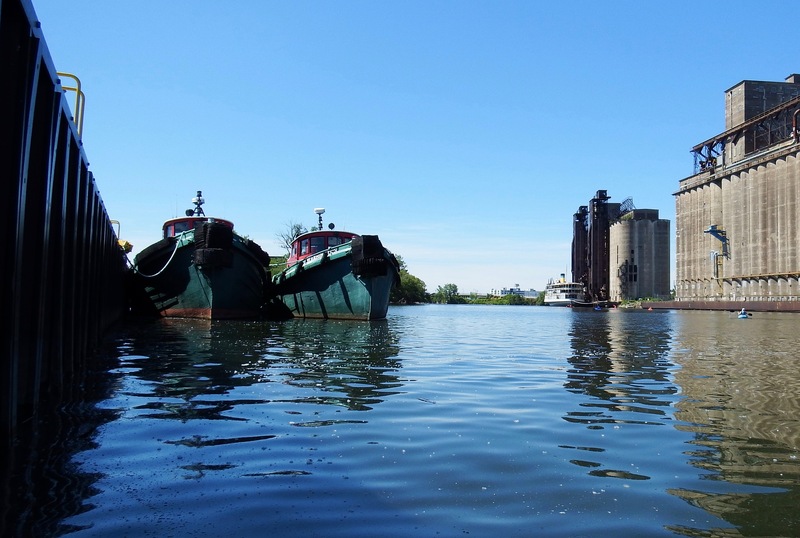 When Buffalo Industrial Diving Company underwent a big expansion in the early 2000s and became BIDCO Marine Group, Inc., it absorbed the Brothers firm and the tug. BIDCO underwent some problems in the mid-2000s and Man O’Trees, Inc., purchased some of its plant along with the Miss Jaclyn, which became simply Jaclyn. Man O’Trees went under in a spectacular fashion a few years ago, including federal indictments, and the land upon which the tugs now reside, as well as the tugs, once the property of BIDCO, was sold at auction a year ago. I assume their ownership passed on to the successful bidder, former New York gubernatorial candidate Carl Paladino. The tugs seem to be well kept, anyway. They haven’t been in documentation for a decade or so, although PSIX indicate they were in active service up to a couple of years ago. The Man O’ Trees tugs have been purchased by Zoladz Construction Co. however it seems as though Man O’Trees is not providing the necessary paperwork to transfer legal ownership. 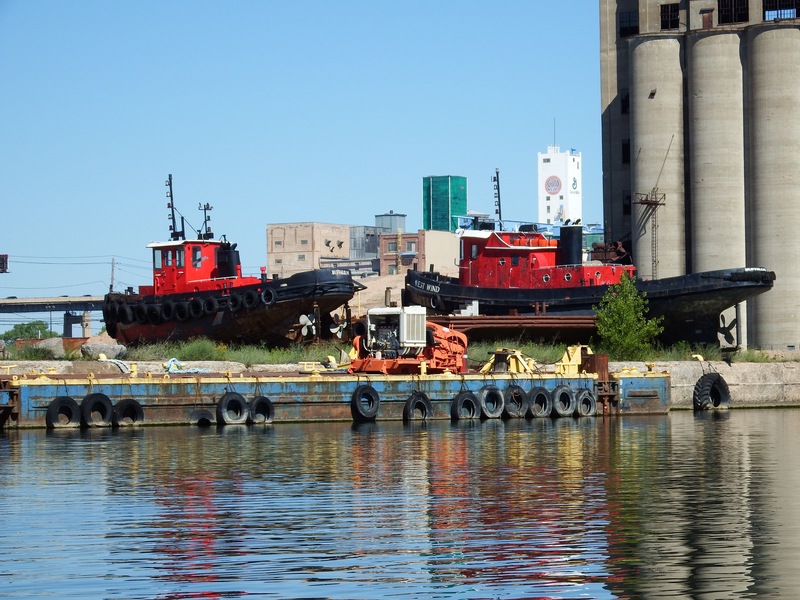 Both tugs are now on the Clinton River in Michigan, with the Jaclyn wearing the paint of Dean Marine & Excavating. Clinton River . . . I had to look that one up. Thx. Alas, from the days of Iron ships, and wooden men.